Golf is played for relaxation, to socialize with friends and associates while playing, or simply for the enjoyment and practice of the sport. In the early 1920s Golf, along with other sports, began making its apparel transition from suits and long skirts into designs with more practicality and comfort in mind. The change brought with it more casual sweaters for men that replaced suit jackets, and skirts with shorter hemlines that allowed for more mobility. A decade later, during the 1930s, the requirement of collared shirt for men from the country clubs brought with it the introduction and popularity of the polo shirt, meeting the collared shirt requirement but also having the desired comfort of something more casual.By the 1960s a noticeable difference for women’s raiment was present. By this time there were many clubs allowing women to dress in a pair of Bermuda shorts and a sleeveless womens golf shirt. 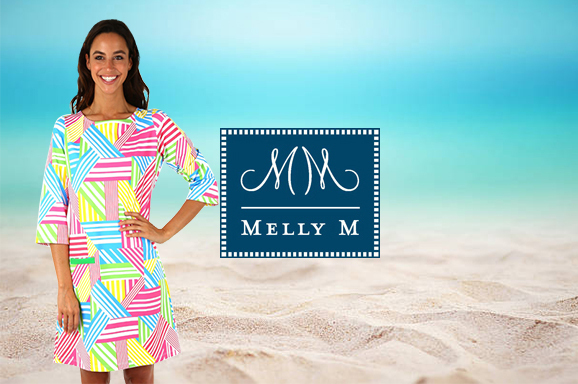 Melly M offers a detailed sizing chart so you can be sure your selected items will fit you well. 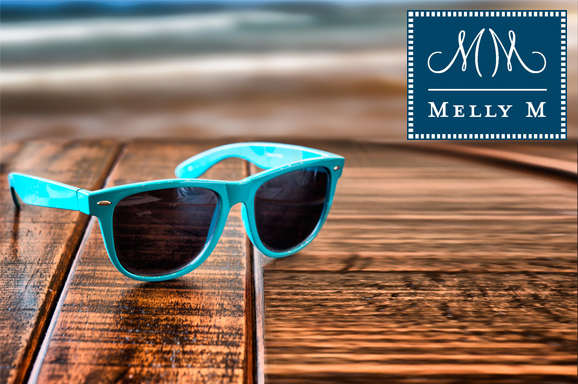 Most of our items are also returnable or exchangeable, the exception being if the item was on sale, customized per customer request, or bought at a retail store or trunk show that was not staffed directly by a Melly M employee. We can arrange for expedited returns if needed immediately for a special event, simply call us for details 866-463-5596. Contact us today if you have any questions about our products, would like a customized item, are interested in purchasing merchandise wholesale for reselling purposes, or have any other business inquiries. You can stay updated on news and products through our social media sites on Facebook and Instagram. 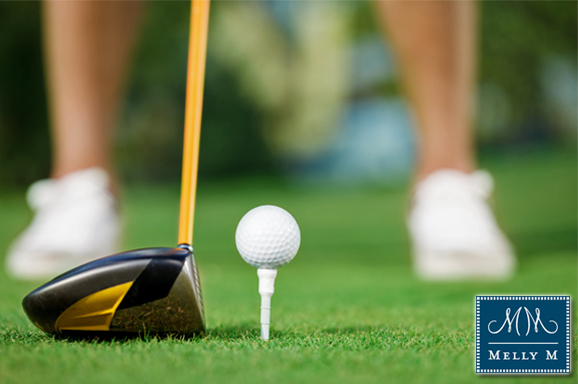 Golf is one of the best sports to play to relax, enjoy a day off, or simply work at for the love of the art. As with any special activity golf calls for certain attire. 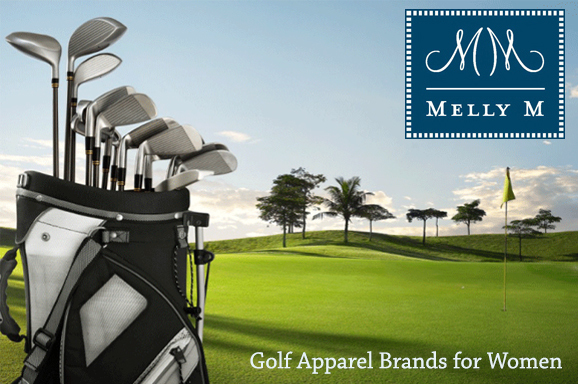 If you are need of golf apparel for women Melly M can provide with high quality, fashionable items. 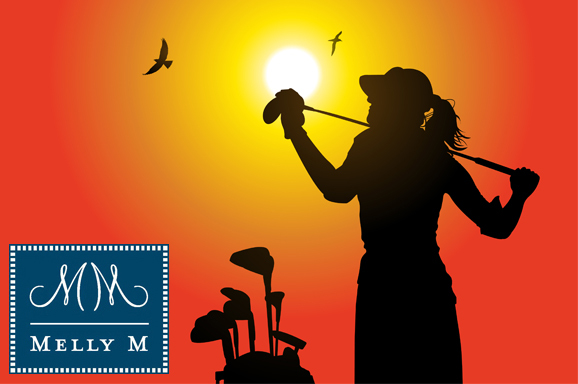 Our online store carries a wide selection of women’s golf clothing to meet the needs and taste of just about anyone. 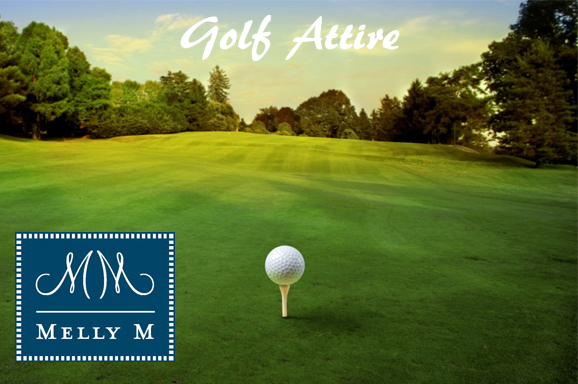 We specialize in the preppy clothing style that has made its way to influence proper golfing raiment. 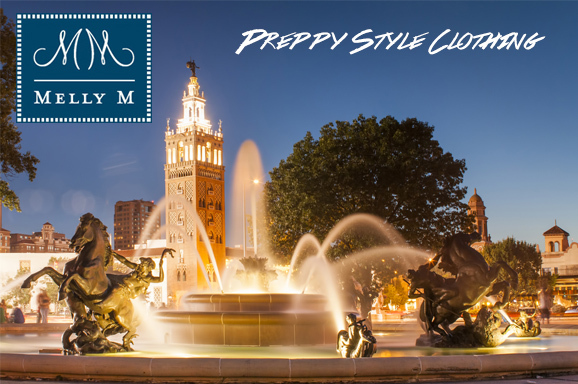 We understand the ins and outs of the fashion industry and here to help simplify the search for clothes that not only look good but also give you comfort while wearing them. If you search up “dress code on the golf course” you’ll find innumerable results for country clubs that pop up with intimidatingly lengthy golf dress codes. If you’re new to the golfing universe, it may seem like an added stress to have to abide by all of the rules. You just want to enjoy your time at the country club and have a peaceful, relaxing time out on the green! 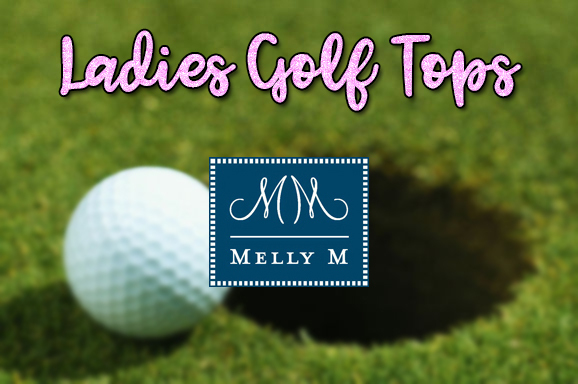 Melly M can provide a simple go to guide to keep you updated and in the know on how to simply show up on the green in a professional way, as though you’ve been dressing for the course and country club the entirety of your life! 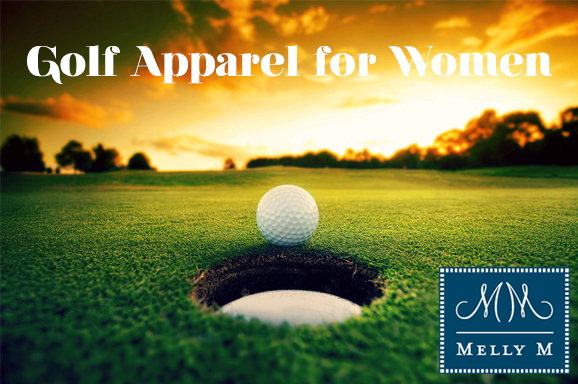 Ladies Golf Tops- A Fit for Every Season! Ladies, we all have that one adorable skirt that we want to wear absolutely everywhere. Nine times out of ten, that splendid skirt is gorgeously patterned. Now, what on Earth is there to wear with a heavily patterned skirt?! 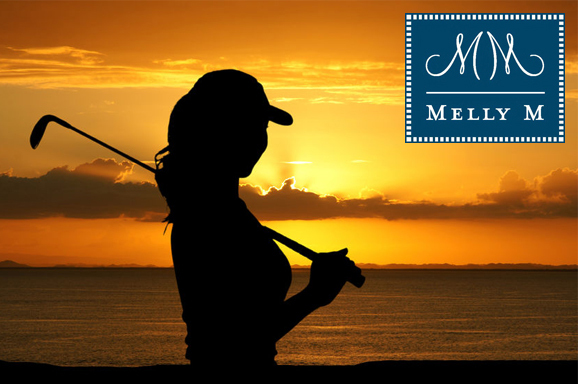 The answer to this dilemma is Melly M. ladies golf tops of course! Ladies golf tops are often in lovely solid patterns, and ours happen to be a fantastic and eye catching shade that is guaranteed to go beautifully with any busy prints you may come across and fall in love with. I do need to mention we carry some of those before mentioned skirts (skorts!) with the glamorous prints, such as our Stella Royal and our Stella Pink complete with our famous little gator. And you, as the frequent skirt wearer you may be, will love our skirts as they come with the best thing in the entire world of skirts- pockets!!! Womens Golf Outfits Spring Into Fashion! 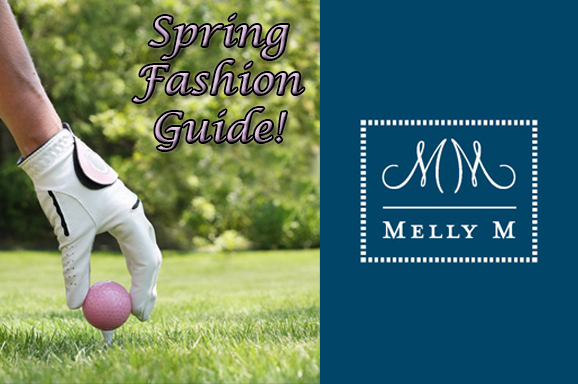 It’s officially the end of march, and any fashion fanatic knows exactly what that means! Spring is not just in the air, but it’s actually here! Womens golf outfits absolutely must be the first thing on everyone’s mind this season, especially if you’re a Floridian. It’s always been funny how we here in Florida have warm winter break’s and somewhat chilly springtime weather- that simply means going outside for a nice round of golf this season simply couldn’t be more appetizing! 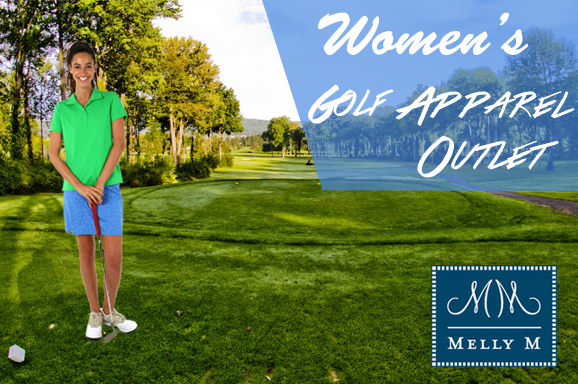 It’s a wonderful time to head out in your womens golf outfits to enjoy this weather, as it’s unfortunately certain for us Floridians to only last a couple more weeks, so why not indulge in some lovely spring fashions why it’s still here for us to golf in? Womens golf outfits are ready for you!